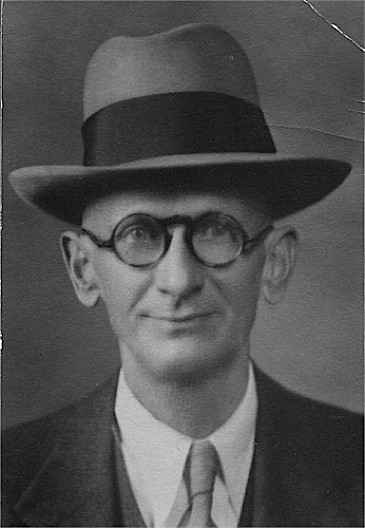 Francis Edward Malone was born on 16 March 1873 in Texas. He married Henrietta (?) circa 1895. Francis Edward Malone and Henrietta (?) appeared in the US federal census of 1 June 1900 in Pensacola, Escambia County, Florida, at 332 East Chase enumerated in the household of grocer Calvin Holley and his wife Olive.. Other members of the household included Handy Malone. He was a grocery clerk, according to the 1900 census. He married Evelyn Courtney Cook, daughter of Conrad Evelyn Cook and Frances Isabella Mangum, on 19 October 1904 in Montgomery, Alabama, at First Baptist Church. The following appeared on 20 October 1904 in The Montgomery Advertiser: Last evening at the First Baptist Church, Rev. Charles A. Stakley officiating, a wedding occurred which many friends gathered to witness. It was that of Miss Evelyn Courtney Cook and Mr. Francis Edrey Malone, which was solemnized at 8:30. The church was beautified by a tasteful placing of tall palms and many tall vases of American beauty roses. When the bridal party arrived the way to the alter was led by the ushers, Mr. Joseph Billing and Mr. Robert Cook, cousin and brother of the bride. They were followed by the two bride's maids, Misses May Cook, sister of the bride and Miss Martile Sellers both of whom were daintily attired in exquisite costumes of blue silk tissue and lace and carried arm clusters of pink carnations. The next to follow was the maid of honor, Miss Estell Cook, sister of the bride. She was gowned in a toilette of of pink silk tissue and lace and carried an arm bouquet of pink carnations. Last came the bride accompanied by her brother, Mr. Conrad Cook, who gave her away at the altar. Her bridal array was of white liberty silk fashioned over satin and her flowers were white carnations, of which she carried a gorgeous shower bouquet. Her bridal veil was caught in graceful folds with a spary of orange blossoms. The bridal party was joined at the altar by the groom, his friend, Mr. H. Smith, who was best man, and Rev. Charles A. Stakely, who performed thye ceremony. After the ceremony the young couple were driven to the home of Mr. Conrad Cook, where they will reside. The bride is an accomplished young woman, who has hosts of friends and admirers who will wish her a life of happiness. She graduated with honor at the Girls' High School and since has been a successful young teacher. Mr. Malone is of a prominent family of Florida and has lived in Montgomery for the past six months, during which time he has won the respect and esteem of all with whom he has come in contact. Francis Edward Malone and Evelyn Courtney Cook appeared in the US federal census of 15 April 1910 in Memphis, Shelby County, Tennessee, at 682 Woodlawn Street. Other members of the household included Margaret Ethel Malone. He was employed as an auditor in an office, according to the 1910 census. Francis Edward Malone registered for the draft on 12 September 1912 in Shelby County, Tennessee, while living with his wife Evelyn at 1056 Peach in Memphis, and employed there as manager of the shipping department of Bay Block Mer? Company. Francis Edward Malone and Evelyn Courtney Cook appeared in the US federal census of 1 January 1920 in Memphis, Shelby County, Tennessee, at 1056 Peach Street. Other members of the household included Margaret Ethel Malone. He was employed as a shipping clerk in a drygoods business, according to the 1920 census. Francis Edward Malone and Evelyn Courtney Cook appeared in the US federal census of 1 April 1930 in Memphis, Shelby County, Tennessee, at 1064 Peach Avenue. Other members of the household included Margaret Ethel Malone. He was employed by an advertising company, according to the 1930 census. Francis Edward Malone died on 7 July 1936 at age 63. His wife Evelyn Courtney Cook became a widow at his death. He was interred at Elmwood Cemetery, Memphis, Shelby County, Tennessee.